The meeting will be held from 11:45 a.m. to 1 p.m. Tuesday in the Social Hall of the Oak Ridge Unitarian Universalist Church, which is located at 809 Oak Ridge Turnpike. Mental illness and capital punishment will be discussed during a lunch in Oak Ridge on Tuesday. The speaker will be Sarah Graham McGee, statewide coordinator for the Tennessee Alliance for the Severe Mental Illness Exclusion, or TASMIE, a press release said. TASMIE is a coalition of mental health advocates and other organizations that are educating Tennesseans about their concerns with sentencing those who have severe mental illness to death, the press release said. A Human Rights Rally and March for Equality, Justice, and Inclusivity will take place at 2 p.m. Saturday, January 19, at the Oak Ridge Unitarian Universalist Church, 809 Oak Ridge Turnpike. The program will begin with inspirational talks, readings, and music. Then, all participants are encouraged to march from the Unitarian Church to the First Presbyterian Church along Oak Ridge Turnpike, weather permitting, a press release said. A local faith-led, multiracial and interdenominational coalition of congregations, community organizations, and labor groups will present its vision for East Tennessee to candidates on October 7 from 3-5 p.m. at the University of Tennessee Cox Auditorium on the UT-Knoxville campus. Provide a path for all Tennessee residents to obtain a valid driver’s license. Ensure local lending institutions provide equal opportunity to home mortgages for all families. Increase access to necessary medical treatment for those struggling with opioid dependence. Naomi Asher, executive director of the United Way of Anderson County, will speak at Lunch with the League on Tuesday, October 2. She will discuss how the United Way is addressing needs in the community and how United Way agencies work together to help people in need, a press release said. A long-time resident of Oak Ridge, Asher graduated from Oak Ridge High School in 2001. She attended Johnson University, where she graduated with a double major in music and theology. After working in several industries, Asher found her passion for nonprofit work when she served as office manager for CASA of the Tennessee Heartland. She became executive director of CASA in 2010 and received her master’s degree in marketing from King University in 2012. The speaker for Lunch with the League on Tuesday, September 18, will be Anne Dunthorn, commissioner of the Oak Ridge Housing Authority. Her discussion will include current initiatives for middle class families and new initiatives for permanent and rental housing, a press release said. The meeting will be held from 11:45 a.m. to 1 p.m. Tuesday in the Social Hall of the Oak Ridge Unitarian Universalist Church, located at 809 Oak Ridge Turnpike, the press release said. Faith leaders and community organizations will discuss substance misuse at a forum in Oak Ridge tonight (Monday, July 9). “Addiction and recovery impacts all of us, and the interfaith community plays an important role in recovery from substance misuse,” a press release said. The Oak Ridge Recovery Interfaith Forum will bring together faith leaders and community organizations across Anderson County, the press release said. ASAP of Anderson partnered with the Child Advocacy Center of Anderson County, First United Methodist Church of Oak Ridge, Oak Ridge Unitarian Universalist Church, and United Way of Anderson County to plan and organize the forum. The forum is scheduled from 6 to 8 p.m. Monday, July 9, at Oak Ridge Unitarian Universalist Church at 809 Oak Ridge Turnpike in Oak Ridge. Seventh Judicial District Attorney General Dave Clark will discuss Neo-Nazism and the root causes of its rise in East Tennessee on Tuesday, a press release said. 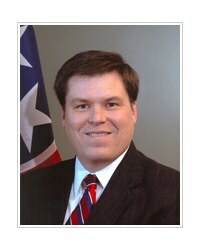 Clark, the DA in Anderson County, will be the speaker at Lunch with the League at noon Tuesday. His general topic will center on Neo-Nazism, and the root causes of its rise in East Tennessee, the press release said. There will be two community forums in Oak Ridge this week that will be led by the outreach director of an organization that is dedicated to fighting hate and bigotry and to seeking justice for the most vulnerable members of society, a press release said. The forums will feature speaker Lecia Brooks, outreach director for the Southern Poverty Law Center. They are scheduled at 2 p.m. Monday, May 7, at the Grove Theater at 123 Randolph Road and 10 a.m., Tuesday, May 8, in the sanctuary of the Oak Ridge Unitarian Universalist Church at 809 Oak Ridge Turnpike. The forums are free and open to the public. They are hosted by Women’s Interfaith Dialogue of Oak Ridge. The speaker for Lunch with the League on Tuesday, May 1, will be Erin Darby, assistant professor of religious studies at the University of Tennessee. Her presentation will introduce attendees to the modern history of Jerusalem and explain its political, cultural, and religious significance, including its role in regional and international conflict. She was scheduled to speak at the January 16 meeting, which was cancelled due to the weather.